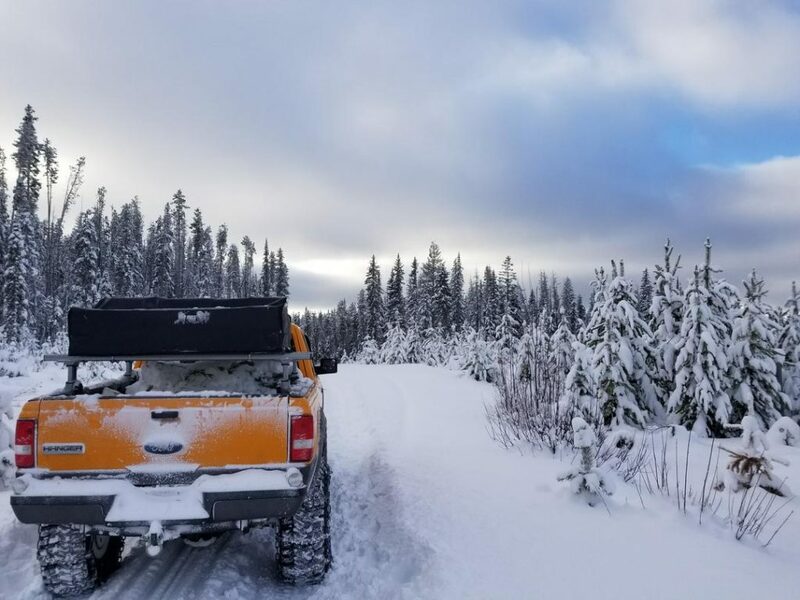 Have you been wheeling this winter? 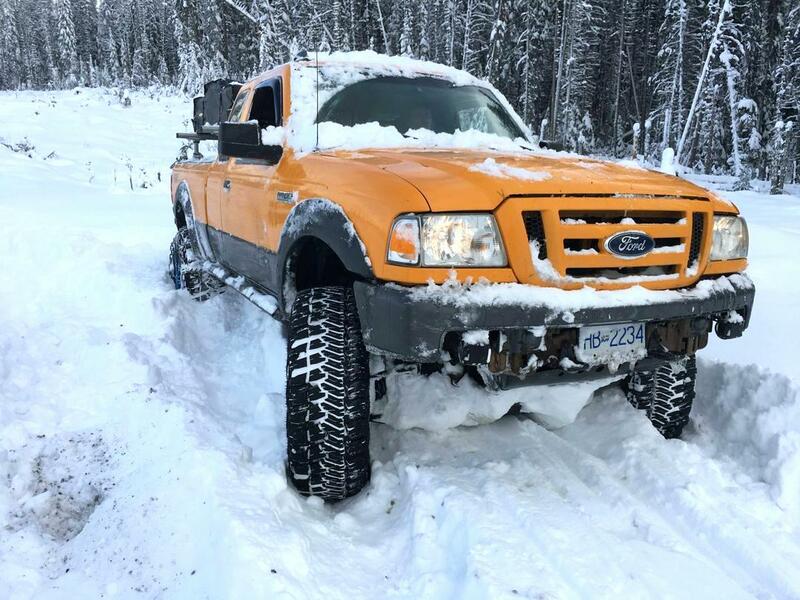 I love a cool Ford Ranger (no pun intended). 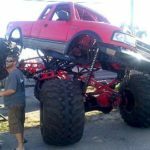 I love them even more when I can watch the build of the truck as it progresses with the owners vision. 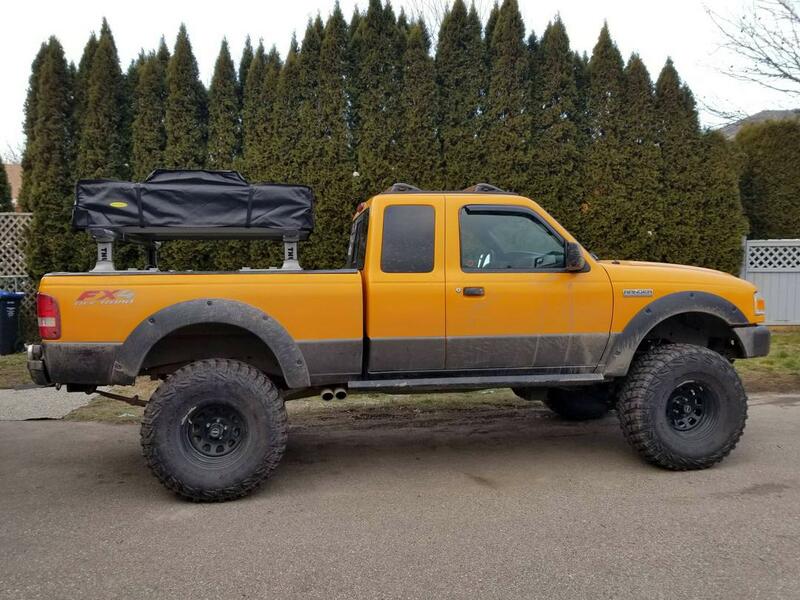 Case in point is this 2008 Ford Ranger FX4 4×4 owned by forum member Mr. Bossley. 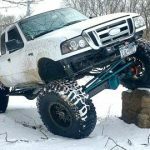 To be more precise on the front suspension, Mr. Bossley didn’t like how low the torsion bar brackets hung after the 4-Inch lift was installed. 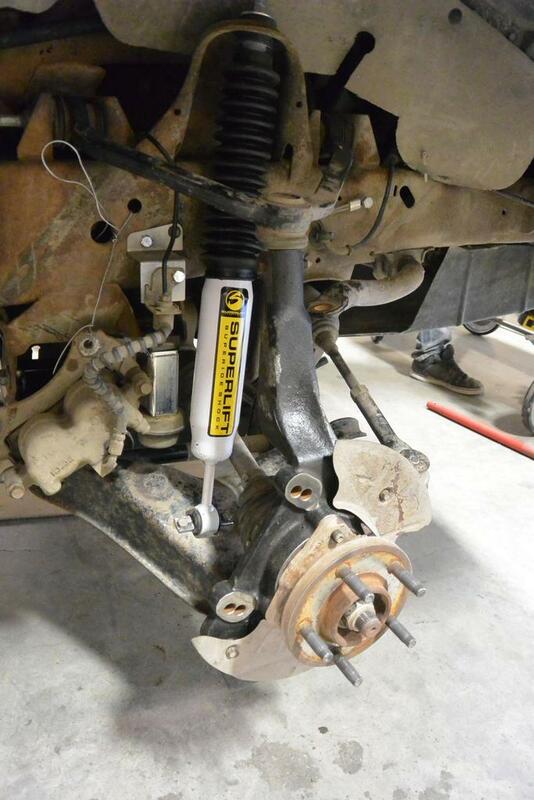 He bought a set of coilover conversion brackets online, and then added Fox 2.0 remote reservoirs custom valved for trails with Eibach 750lb coils, and Daystar bump stops. 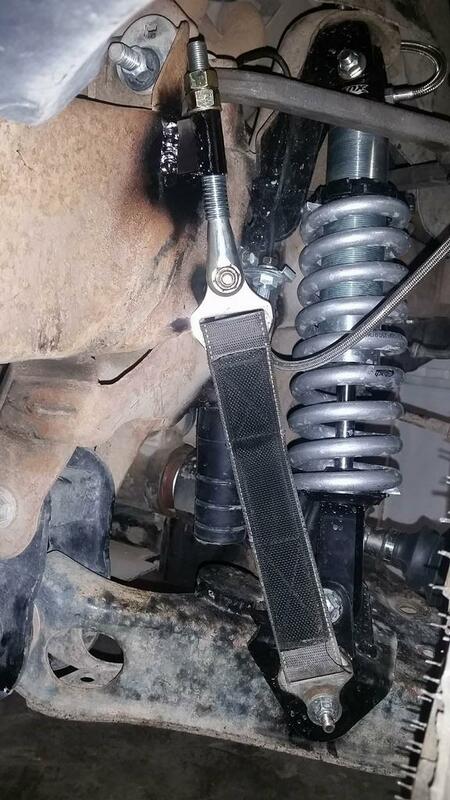 In case you’re wondering, the coilover conversion brackets would look similar to the ones shown below. 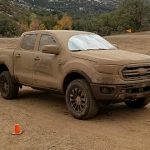 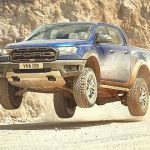 For more information on Ford Ranger coilover conversions, click HERE. 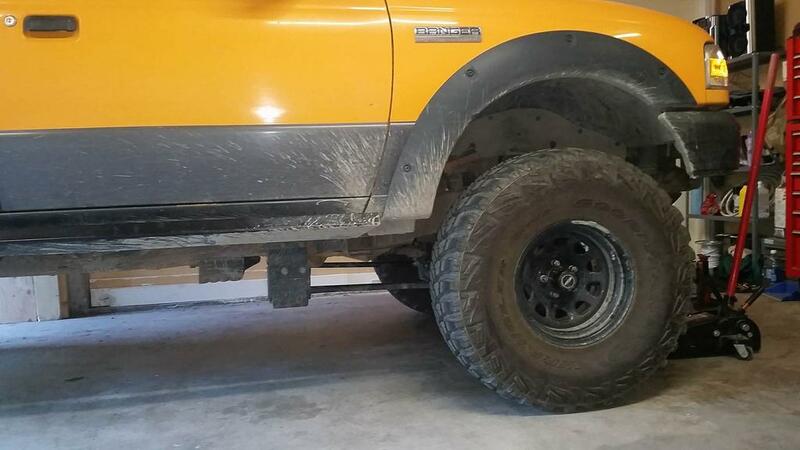 You can clearly see how much more clearance you get switching to coilovers. 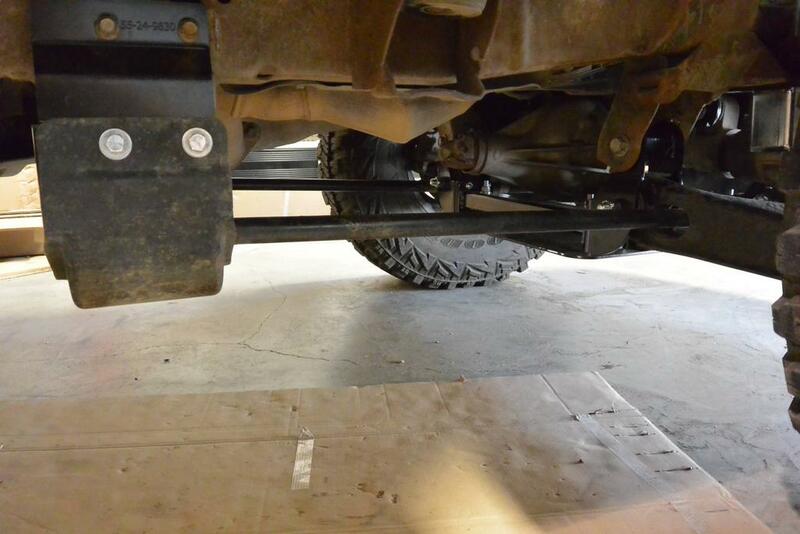 Also note the sliders made from 2″ x 3″ x 1/8″ steel tubing. 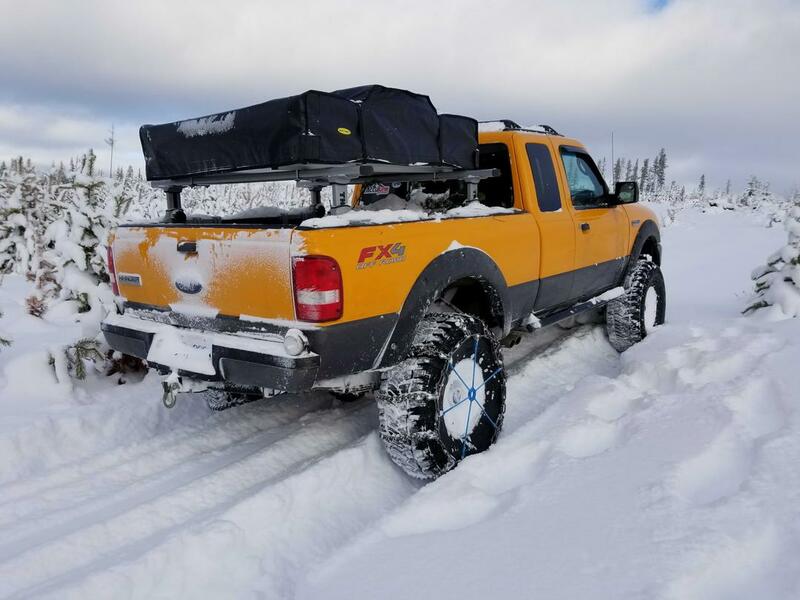 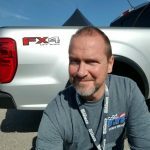 You can say that Mr. Bossley knows his way around the 1998-2011 Ford Ranger 4×4 suspension. 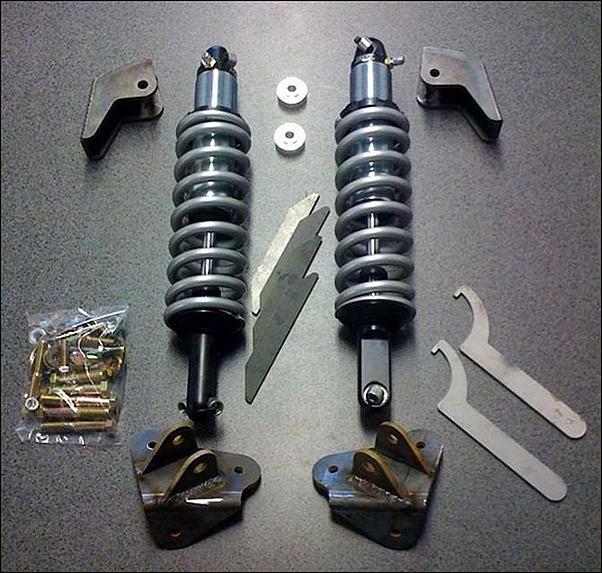 From torsion keys to coilovers. 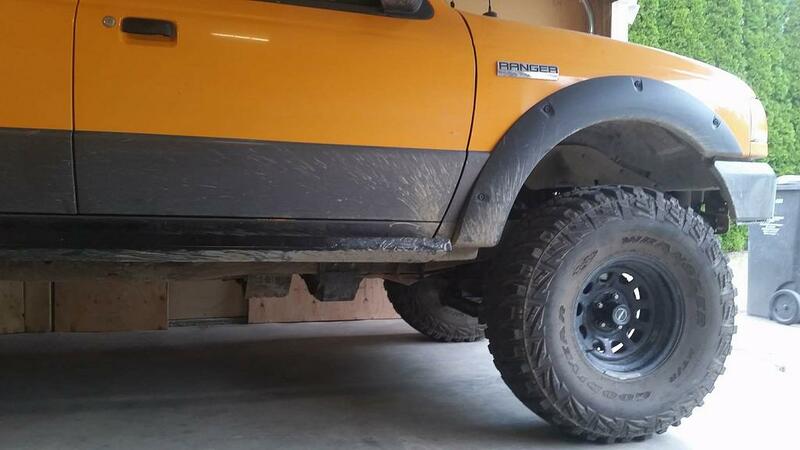 Along the way it’s had 33×12.5×15 MTRs on 15×8 Pro Comp Wheels, and then 35×12.5×15 MTRs. A VIAIR 300P compressor is mounted behind the grill for those occasions when you need to air down the tires, and then air them back up for the ride home. 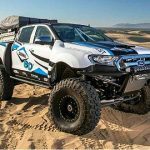 Other upgrades include a dual cardan driveshaft, 4.56 gears, and Torsen differentials. 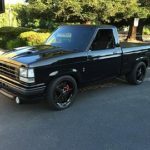 The engine is stock, but the exhaust now exits on the passenger side ahead of the rear tire, and features a Flowmaster 50 Series muffler. 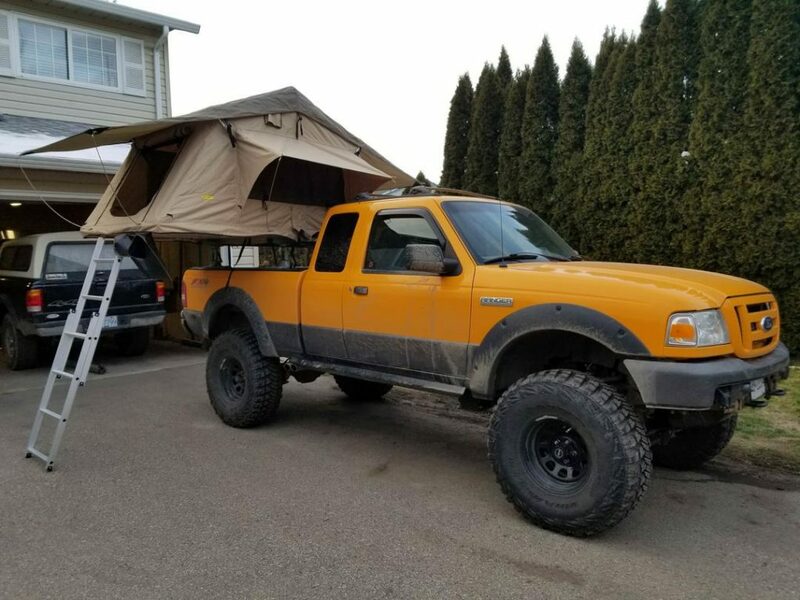 Mr. Bossley has used his truck for hauling dirt bikes, and a canoe, along with an occasional camping trip. 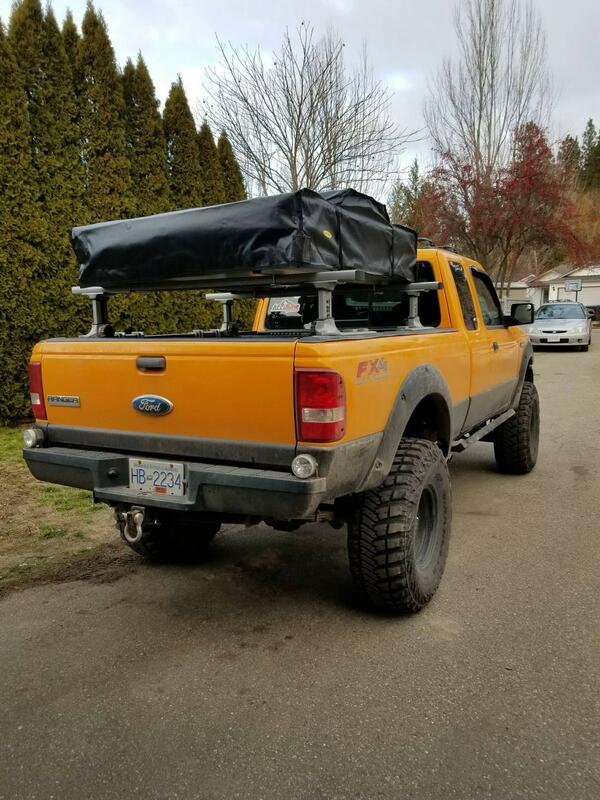 For camping, he’s used a fiberglass shell on the bed, and a tent made specifically for a truck bed, before finally going with a Smittybilt Overlander tent mounted on a Thule Xsporter rack. 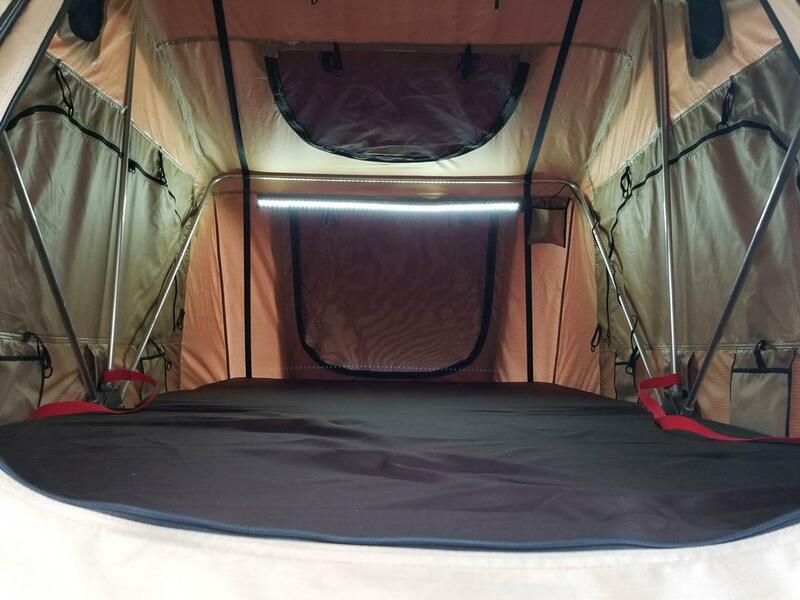 The Smittybilt tent is quick and easy to set up and take down, while still leaving the bed available for hauling gear. 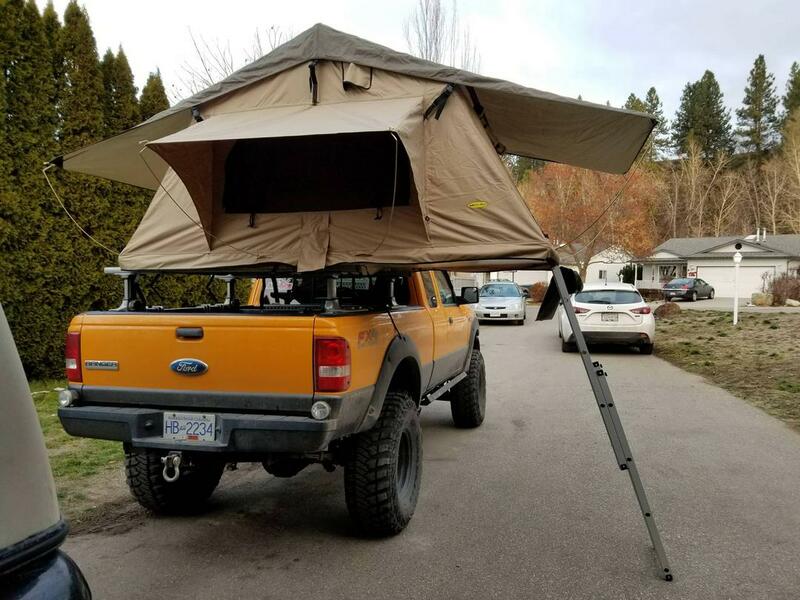 This is definitely a cool adventure rig. 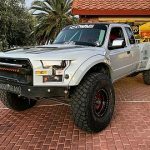 If you want to see more photos and information about this truck, check out his Build Thread HERE.